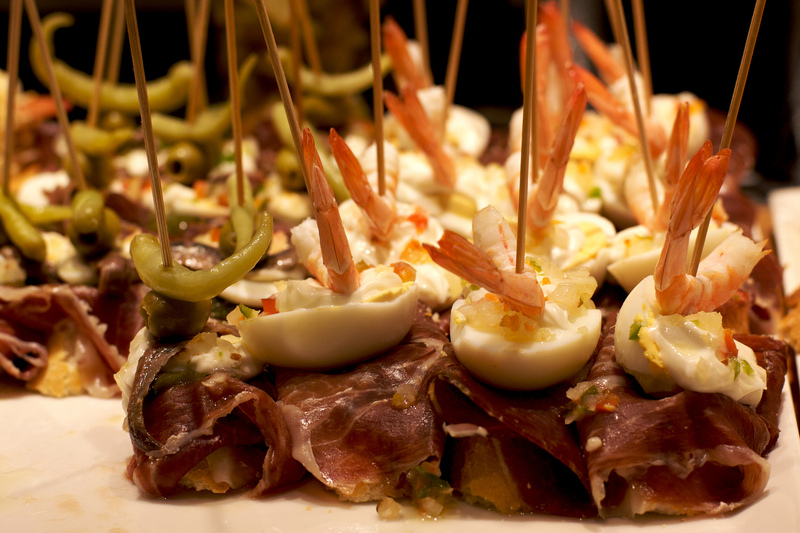 Pintxos are the Basque Country’s answer to Spain’s tapas. Traditionally they are small pieces of bread, topped with various traditional ingredients such as a local cheese with figs, ham with fried green peppers, cod croquettes or pieces of Spanish omelette. In fact, they could be topped with any manner of ingredients, in any number of combinations. Small mouthfuls of food had been served with drinks for centuries in Spain – even all the way back to the 12th century, although it wasn’t until the 19th century that it became common in bars. Tapas were actually invented before pintxos, and came about because people would place small pieces of bread on top of their drinks to stop flies and other insects getting in – essentially it became a lid, known as a ‘tapa’ in Spanish. This became even more popular when King Alfonso XIII of Spain (on the throne from 1886 – 1931) was visiting the city of Cádiz and the barman placed a ‘tapa’ on his drink. He liked it so much, that this soon became a countrywide trend. 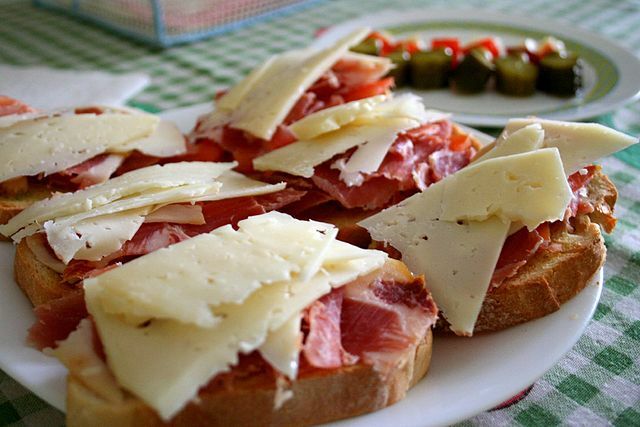 The trend reached the Basque Country in the 1930s, particularly in the foodie capital of Spain – San Sebástian – when the invention of pintxos occurred. Not content with ordinary tapas, some bars in the city started to create miniature portions of their dishes, and displayed them along the bar, so that customers could take them by themselves. To make it easier for their clients and to keep them together, they speared them with wooden cocktail sticks. In the 1940s, the trend spread to other Basque cities such as Bilbao, Vitoria-Gasteiz and Pamplona. Today, pintxos are not just pieces of bread, they can be all kinds of various savoury treats on sticks, or even in mini bowls. 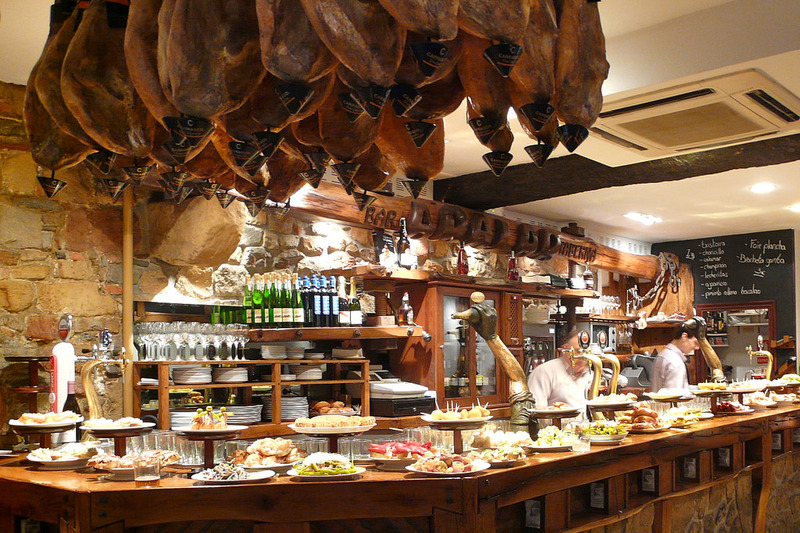 When you visit a pintxo bar, the idea is still to help yourself to as many as you want from the bar. When you’ve had your fill, the staff will count up how many sticks or empty mini bowls are left on your table, and you pay accordingly. Most pintxo bites cost between one and three euros each. The pintxo has also become associated with Basque gourmet cuisine, and many top Michelin-starred chefs across the region are pushing boundaries with flavours and ingredients, bringing the pintxo fully into the 21st century.